Charter a private flight to Yosemite, California, home to one of the country’s most visited National Parks. Whether flying private for a romantic getaway at one of the areas luxurious resorts or to take the family on an outdoor adventure, we can help arrange the right aircraft and flight itinerary that best suit your needs. San Francisco Jet Charter believes in providing private flyers with a one-on-one consultative service experience that exceeds every expectation. We understand that your time, privacy, flight preferences and most of all, safety, are all extremely important. Our Yosemite Jet Charter representatives are available for you by phone and email 24 hours a day, 7 days a week. When using our private aviation service, you can expect quick response times and an easy, hassle-free booking process. Request a quote or call us to arrange your private charter flight to Yosemite, California. 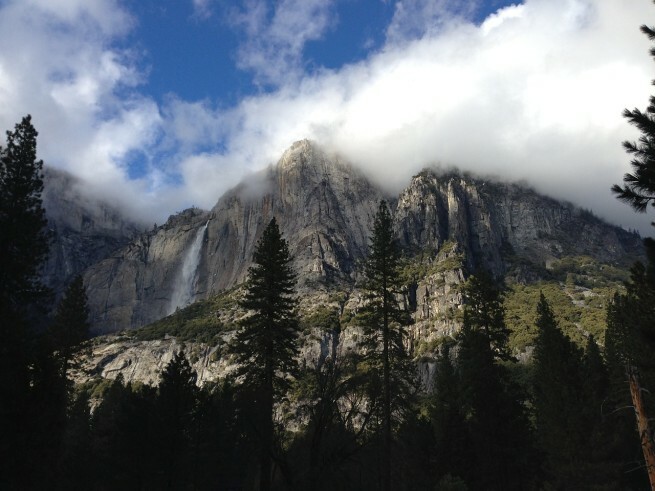 Charter a private flight to Yosemite and enjoy staying at one of the premier accommodations around the park. Featuring stylish European inspired decor, a posh spa and outstanding dining, indulgent travelers visiting the park can stay at the luxurious five-star hideaway Chateau du Sureau. Visitors to the park can also enjoy an upscale stay at the Majestic Hotel. 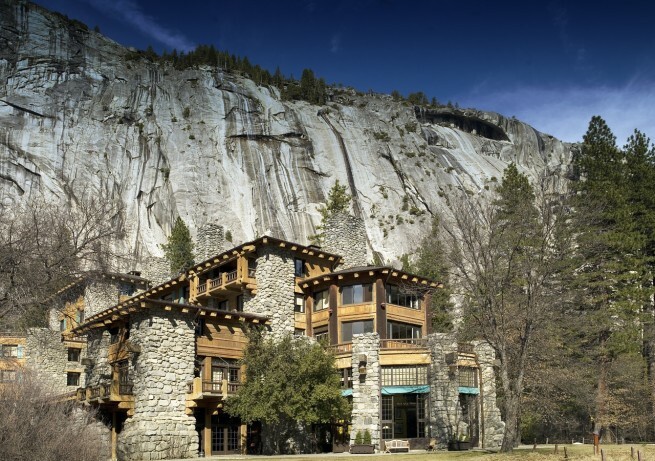 Formerly known as the Ahwahnee Hotel, this historic, landmark hotel is located on a Yosemite valley floor, providing guests with views of Half Dome, Glacier Point and Yosemite Falls. There are several other upscale hotels and resorts around Yosemite National Park, so we’ve compiled a list of the top options based on San Francisco Jet Charter passenger feedback, location, amenities and online reviews. Once you arrive in California via luxury private jet, our Yosemite Jet Charter brokers can also arrange ground transportation to/from the hotel of your choice. One of the most visited parks in the nation, Yosemite National Park welcomes over 4 million guests annually to the place that started the National Park movement over 100 years ago. The valley floor is a great place for families and first-time visitors to start, with easy access from each of the park entrances bringing you to landmarks such as the Half Dome and El Capitan. The National Park offers some of the most challenging trails and rocks for hikers and climbers, and the starry skies over the park at night provide breath-taking views of the Milky Way and shooting stars. Planning your private flight around the changing of seasons is highly recommended, as the colors around the park in autumn are incredibly beautiful, and traffic congestion reaches it s peak throughout the summer months. Covering over six million acres of mountainous terrain, covered in California poppies and full of natural resources, the Sierra National Forest is located just southeast of the park on the way to Fresno. The park offers a wealth of activity, from hiking, hunting, fishing, horseback riding and rock-climbing, to overnight stays in campgrounds and cabins, as well as plenty of water activities and wintersports when the temperatures drop. Bass Lake is nearby and a popular area for boating and fishing with several recreation grounds located around the lake. 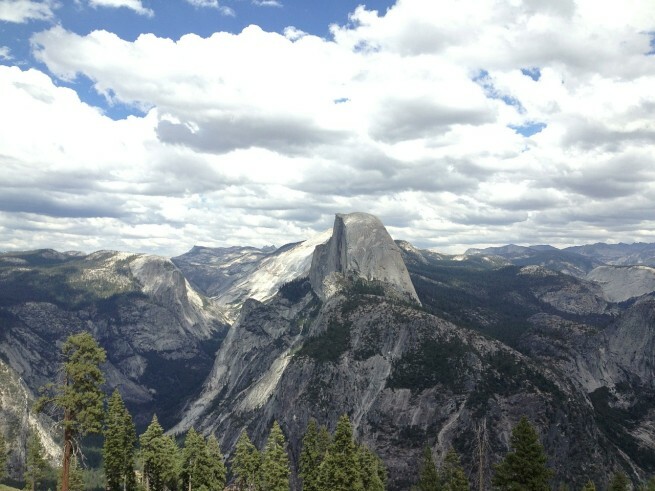 Check out more of our recommendations after your private flight to Yosemite, California. This Alpine lake sits in the park’s valley at an elevation of 8,150 feet, the result of glacial action over thousands of years leaving behind towering granite rocks cliffs. Today, the lake is a popular spot for water sports and recreation, and can be easily accessed via State Route120. The Tenaya Lodge is located here if you’re looking for an upscale stay nearby. Enjoy a breath-taking view overlooking the Yosemite Valley Half Dome and more, Glacier Point is located about 30 miles from the valley floor. The road is sometimes closed during the winter from the months of November to May or June, during which it can only be reached by skis or snowshoes. Badger Pass offers cross-country and downhill skiing during the winter months at the Yosemite Ski & Snowboard Area, one of only three National Parks with lift service. Washburn Point is another spot for sightseer to catch a view of the southern side of the park’s Valley. Located at 8,700 feet above sea level and 60 miles away from the valley floor, Toulumne Meadows is a serene sub-alpine meadow in Yosemite’s high country. The shallow waters covering the meadow floor are result of melting ice from the winter months, supporting vegatation as the temperatures rise, almost to the point that some areas become completely flooded. During the summer months, visitors will find the meadow covered in a wide variety of California wildflowers in full-bloom. Passing Vernal Falls and Nevada Falls along the way to Half Dome, the Half Dome Trail is one of the most spectacular hiking trails in the world. Although the final stretch of the trail can be demanding, the views from the top are absolutely worth the high-intensity climb. Note that if you plan on hiking to the summit of Half Dome, a permit is required seven days a week, and rangers will turn away climbers without one. San Francisco Jet Charter utilizes the following airport to fly clients privately to/from Yosemite, California and neighboring areas. Request a Quote or give us a call at 1-888-987-5387 to speak with one of our Yosemite Private Jet Charter agents for your next luxury vacation, business trip, or special event.